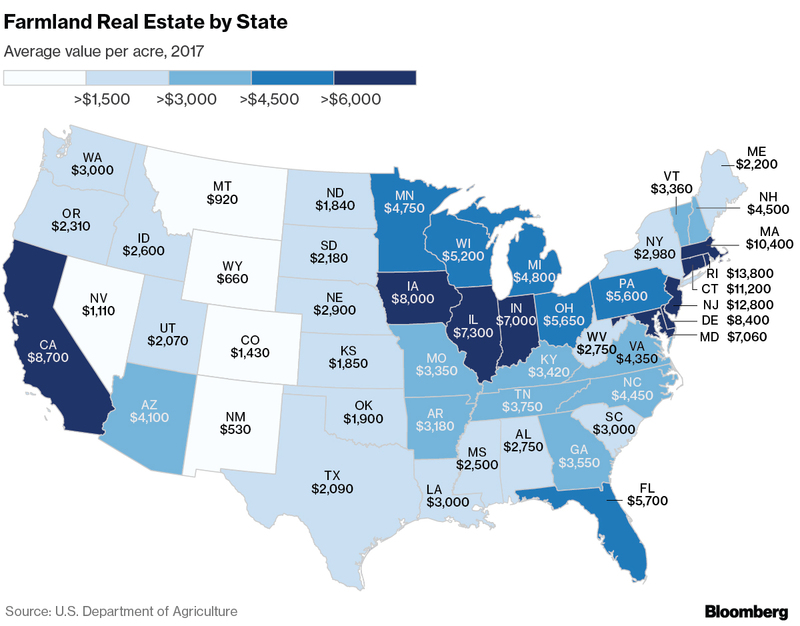 Is there any more fitting graphic for this blog than the price per acre of USA Farmland? A special "Thank You" to one of my blog readers for tipping this image out to me. Superb. And very revealing. As many of you know "Chinatown" is one of my favorite movies of all time. It deals with water theft in California to enrich a handful of greedy speculators. Fiction? Well dear readers read on. As a California resident I find it odd that the highest cost per acre can be found in CA, despite the tremendous "drought conditions." How could that be? Indeed, probably no other state has had such massive disruption to its natural environment (the Hoover Dam does come to mind NV readers) as California. Aptly termed "Water & Power: A California Heist," this documentary by National Geographic is the true-to-life theft of water which makes California agricultural land just so valuable. Worth watching if you enjoy blatant political graft exposed. The true value of the farmland is the underlying value of the water that services not only the land above it, but also the population surrounding it. Mineral rights in the United States have long been a contentious issue, and probably water has become the greatest concern. When you take a look at this map consider two factors; what is the crop which grows and who controls the water? The answers to those two questions directly impacts the underlying value of the land. And as a Financial Farmer...what are the brands and who controls the cash flow?